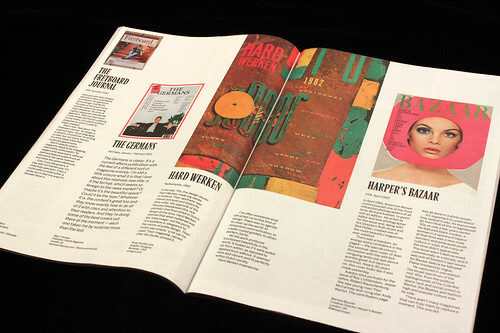 We’re excited to announce that our magazine project in support of Bob Newman is now available from the magCulture shop. • The print edition is a 64pp 180 x 240mm newsprint publication, £15.99. Buy your copy of the print edition. • The limited edition package includes the newsprint publication (signed by Andrew and Jeremy) plus an actual copy of one of the magazines featured in My Favo(u)rite Magazine. We have only ten of these packages, and each will include a different original magazine. You’ll also receive a copy of the PDF edition. £59.99. Buy the Limited Edition package. See sample spreads and further details of the project after the jump. Note this button is for the PDF only. 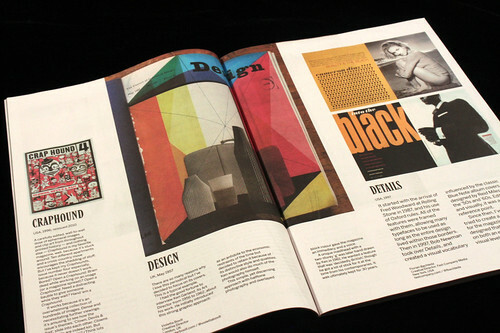 My Favo(u)rite Magazine was produced to raise money for Bob Newman (above), a major figure in magazine design. 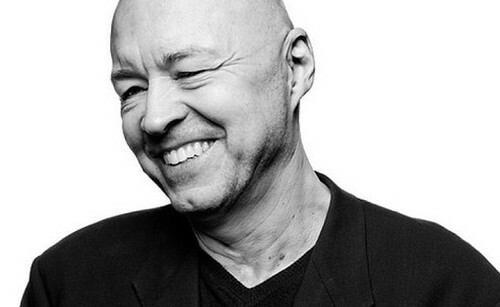 Formerly design director of New York, The Village Voice, Details, Entertainment Weekly, Vibe, Real Simple among many others, Bob recently suffered an accident that left him in a coma for two weeks, with a long path to recovery ahead of him. He and his young family now faces enormous medical bills. All proceeds from My Favo(u)rite Magazine will go to Bob and his family. For information and updates about Bob Newman’s progress visit his Facebook site. If you would like to contribute additional funds you can do so here. We are grateful to the financial support of Eye magazine, the Society of Publishing Designers, 29th Street Publishing and The Huffington Post, and to the Newspaper Club and PHMedia for support in kind.